Misrepresentation over cost is cited, like the nuclear waste issue, as a reason to say “No” to the nuclear option. Ironically, it is this lack of confidence from the public that contributes to an inflated cost of nuclear power. 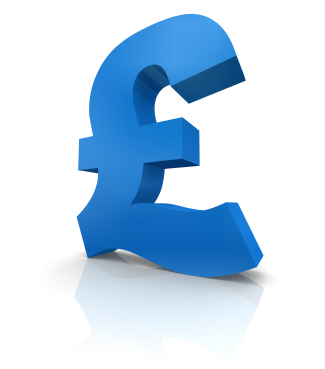 Through its Electricity Market Reform (EMR), the UK government has essentially agreed to regulate a liberalised energy market. 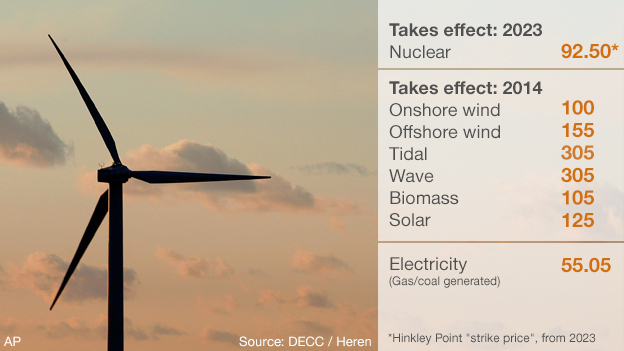 For new build nuclear power stations, the ‘strike price’ as set out below includes future costs such as decommissioning, clean-up and radioactive waste storage. Consumers pay the same for electricity that comes from the grid, no matter what the initial source. Investors have agreed that if the market price for nuclear goes above the strike price, they will pay back the difference to the consumer. 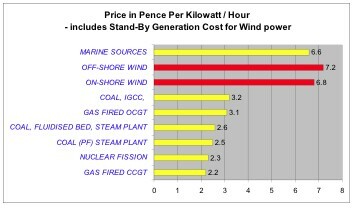 The following chart (courtesy of DECC) shows the relative costs of generating electricity for each technology, based on contractual ‘strike price’ – that is the price fixed between the UK and tendering company to build (in MW/h). 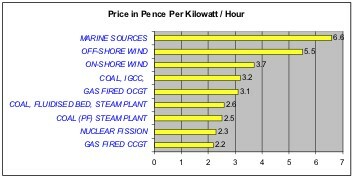 From the low carbon sources of electricity identified below, nuclear is the cheapest – generally speaking, it is questionable as to whether the negative effect on price of feed-in tariffs for renewable forms of energy is very widely recognised. * Nuclear reactors in the UK have historically been generally large and complex, with lots of reinforced concrete and nuclear-grade quality assurance programs. As a result they tend to be expensive to build (see capital costs, below). * Once built, fuel and operating costs are relatively cheap. E.g. One kilogram of uranium will yield about 20,000 times as much energy as the same amount of coal. Also, fuel costs aren’t linked to volatile gas and oil market forces. * The current cost of nuclear power is amplified by nuclear site safety and security licensing considerations introduced to appease the voice of public concern. Other data received courtesy of a report by The Royal Academy of Engineering in association with PB Power supports the claim that nuclear is competitive with other forms of electricity generation. Capital costs are greater than those for fossil fuel-fired power stations, but running costs and the cost of fuel are considerably less. For further information The World Nuclear Association has some excellent detailed research and documentation on the cost of nuclear generated electricity versus other technologies. The Future of Nuclear Power – the Role of Nuclear power in a low Carbon Economy– a report by the UK’s DTI, although from 2007, provides a good source of information concerning nuclear technology and costing strategies.